Recently two new films including “The Incredible Burt Wonderstone” and “Phantom” have been released. They are totally two types, making audiences have different feelings. Now, let’s learn more about these two movies. 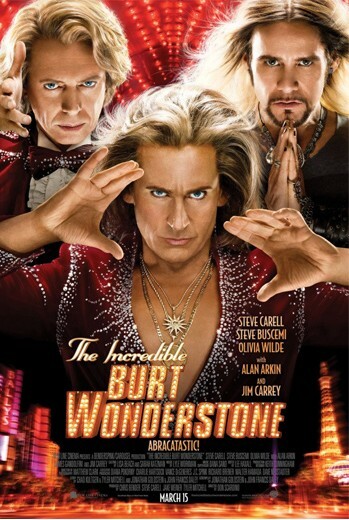 The Incredible Burt Wonderstone is a comedy film directed by Don Scardino, staring Steve Carell and Jim Carrey. It also features Steve Buscemi, Alan Arkin, Olivia Wilde and James Gandolfini. It is Steve Carell’s third collaboration with Jim Carrey. On a $30 million budget, filming began on January 10, 2012 in Nevada with filming later moving to Los Angeles. Next is its plot summary. Superstar magicians Burt Wonderstone and Anton Marvelton have ruled the Las Vegas strip for years, raking in millions with illusions as big as Burt's growing ego. But lately the duo's greatest deception is their public friendship, while secretly they've grown to loathe each other. Facing cutthroat competition from guerilla street magician Steve Gray, whose cult following surges with each outrageous stunt, even their show looks stale. But there's still a chance Burt and Anton can save the act-both onstage and off-if Burt can get back in touch with what made him love magic in the first place. This film was released on March 15, 2013, and earned over $27 million. Reviews generally praised Carrey's and Arkin's performances, but criticized the plot's inconsistent tone and predictability. 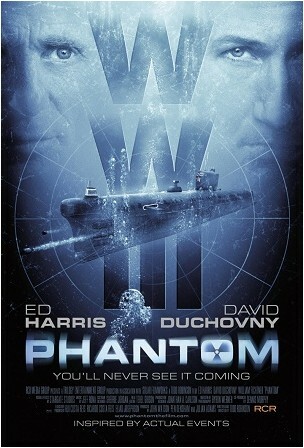 Phantom (2013 film) tells a story about a Soviet submarine during the Cold War in the 1960s. It is loosely based on the real-life events involving the K-129 crisis of 1968.This suspense and adventure film is directed by Todd Robinson. Academy Award nominee Ed Harris (A Beautiful Mind, The Abyss), David Duchovny ("The X-Files," "Californication") and William Fichtner (The Dark Knight, Black Hawk Down) star in this suspense thriller. The haunted Captain of a Soviet submarine holds the fate of the world in his hands. Ed Harris plays the captain of a Cold War Soviet missile submarine who has secretly been suffering from seizures that alter his perception of reality. Forced to leave his family, he is rushed into a classified mission, where he is haunted by his past and challenged by a rogue KGB group (led by David Duchovny) bent on seizing control of the ship's nuclear missile. With the fate of humanity in his hands, Harris discovers he's been chosen for this mission in the belief he would fail. Review of Rotten Tomatoes says when limited by budget, a good independent film turns in on itself and spotlights the actors, and that's where the meat is in this movie. After all, there are a thousand Hamlets in a thousand people’s eyes. You may want to convert favorite DVD to your portable like iPad, PSP. IPod, etc, a DVD Video Converter is good for you. 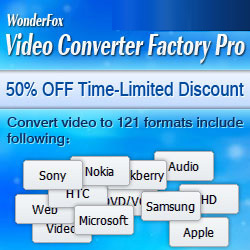 WonderFox DVD Video Converter provides the simplest way to convert your DVD disc to most popular video formats including HD AVI, HD MP4, HD MOV, FLV, HD WMV, AVI, MP4, VOB, MKV, WMV, MPEG, MP3, OGG, FLAC, MKA, WMA, etc. Have a free trial!